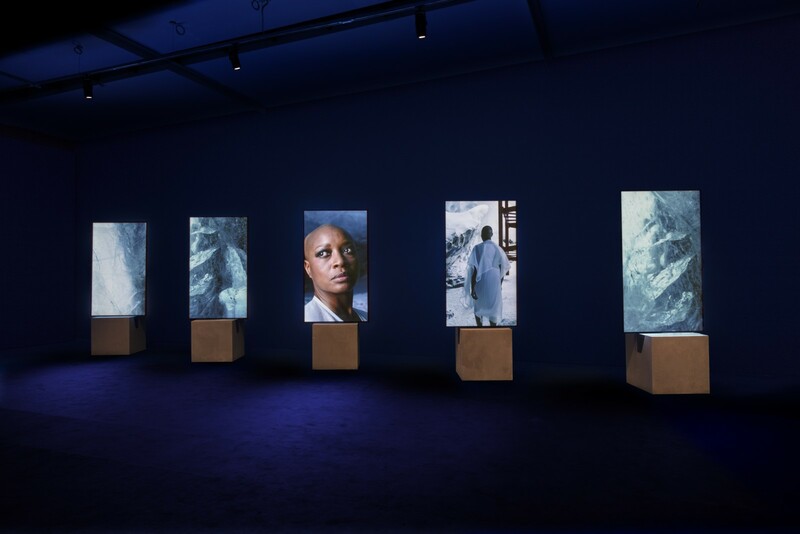 Roslyn Oxley9 Gallery is pleased to present Isaac Julien: Refuge, featuring the Australian debut of his new multi-screen installation Stones Against Diamonds (2015) juxtaposed with one of the artist’s most prophetic works WESTERN UNION: Small Boats (2007), shot in Sicily, (which pre-dates the current global crisis on migration by a nearly a decade). 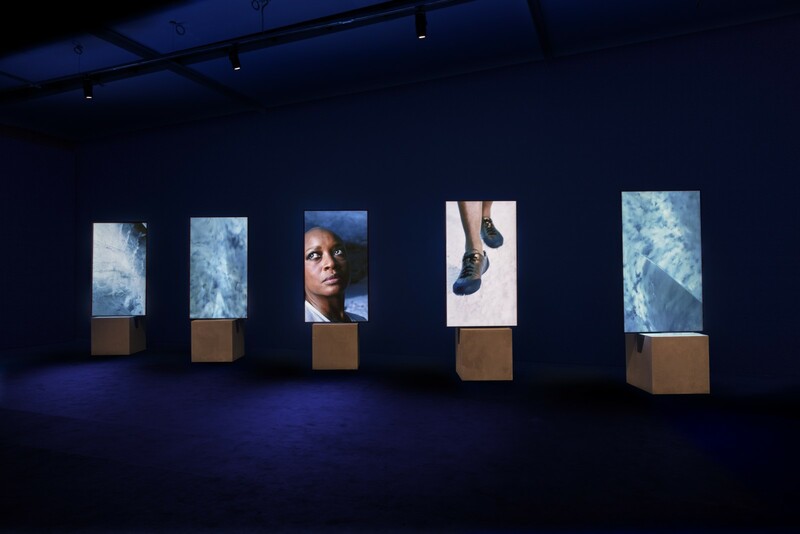 Thus the exhibition surveys Julien’s complex, poetic film and photographic installations, across three continents, spanning eight years. Together the works explore cartographies of displacement, from the baroque to modernist architecture, from Italy, to Iceland and Brazil. Julien is one of Britain’s most influential, and critically acclaimed artists working today, who pioneered multi-screen installations. His cinematic and photographic works combine a theoretical sophistication with visual luxury and sensuality. What distinguishes his work, is the attention paid to visual and sonic qualities, that unite a range of artistic disciplines and practices, to create the work’s sophisticated approach to critical and theoretical resonances concerning the world issues today. The aesthetic leitmotifs of his works often build on and extrapolate from his explorations of geographical areas of change and crises: the movement of populations, trans-cultural exchange, and the implacably growing influence of powerful interests while ignoring nature’s changing economy. He adapts these themes into powerful poetic and visual meditations. Stones Against Diamonds (2015) draws inspiration from a letter written by the seminal modernist architect and designer, the Italian-born Brazilian Lina Bo Bardi.Julien and his 50-person crew took on a 400-mile voyage to the wilderness of Iceland in the isolated ice caves of Vatnajökull, Europe’s biggest glacier. The artist interpreted this remote landscape as a metaphor of the unconscious, a place of rich beauty but difficult to access geographically. The melting of the glacier prompts the viewer of the inconvenient truth: some of the most beautiful objects are the least precious in a conventional sense, but indicate the mourning of the geological change occurring on our planet. The extravagantly dreamlike passage through nature’s baroque architecture is emblematic of Julien’s concerns about critical geology, earth’s fragility and climate change. THE LEOPARD is the single-screen version of WESTERN UNION: Small Boats (2007). It is the final instalment of Julien’s trilogy about journeying across continents and cultures that includes True North (2004) and FantômeAfrique (2005). The impressive film installation meditates on the movements of people across the Mediterranean from North Africa each year to escape wars and famines. Compelling choreographed movements by renowned choreographer Russell Maliphant were inspired by the historic exodus of thousands of African and Asian “clandestines” sailing 100 miles in small fishing boats. Julien made this work almost decade before this actively became a focus of international media attention and hence foretold our current controversial debates around migration, even in Australia.